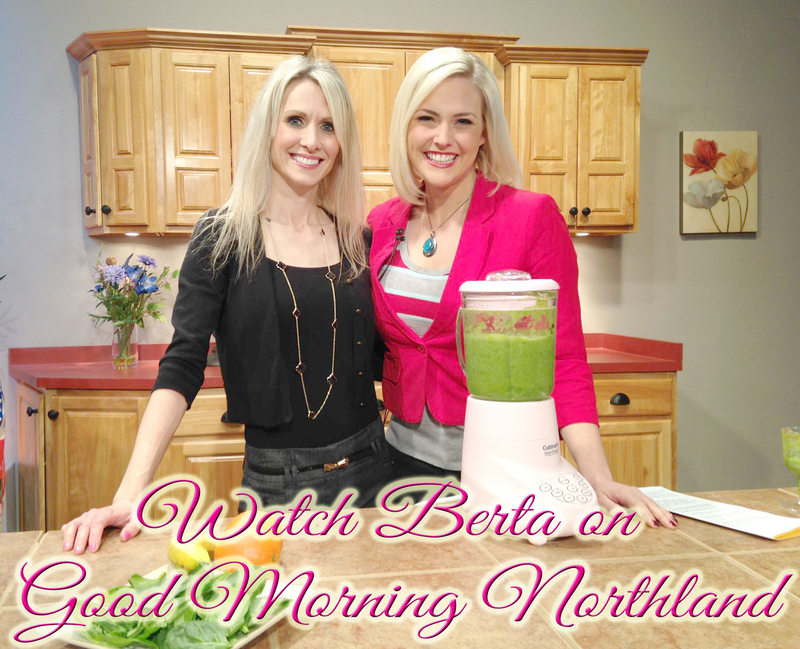 Today I did a segment on WDIO’s Good Morning Northland to provide tips for a healthy heart. The resource I shared was a movement the Mayo Clinic has started with their Healthy Heart For Life campaign and book that shares the same name. This fabulous resource guides you to better heart heath by following Mayo Clinic’s heart health experts’ 10 step plan. It’s broken up into the following 4 easy to read, understand and follow parts. Part 1: Get Going – A quick start plan with immediate actions you can take for a healthy heart. Part 2: 10 Steps To Heart Health – 10 factors to improve your heart health and reduce your risk of heart disease. It is important to consider how widespread heart attacks have become in today’s society. This is what makes CPR training from somewhere like Coast2Coast in Ottawa. Part 3: If You Have A Problem – 6 of the most common heart conditions and strategies and adaptations you can make if you have them to continue to use the plan. Part 4: Support Your Plan – In-depth information regarding diagnostic testing, eating plans, exercise programs, healthy weight, mental health issues and more to support your plan. What I absolutely love about this book is Mayo’s super successful Eat, Move, Sleep campaign and their Quick Start program to a healthy heart. For most people, the Quick Start program is appropriate. However, consult your doctor before starting. Here’s the highlights of Quick Start. Quick Start is a two week program to prepare you for Mayo’s full Healthy Heart plan. The program is simple. Eat 5, Move 10 and Sleep 8 daily. Eat at least 5 servings of fruits and vegetables a day. Increase your daily activity and exercise an additional 10 minutes. Do these everyday for two weeks and you’ll be well on your way to a healthy heart! 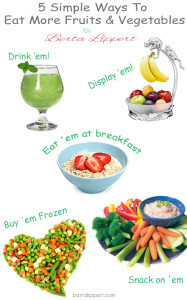 For tips on eating 5 servings of fruits and vegetable, check out my post 5 Simple Ways To Eat More Fruits & Vegetables. Ideas for incorporating 10 minutes of additional exercise can be found in my post 25 Easy Ways To Fit In 10 Minutes Of Exercise. And for the 8 hours of sleep? 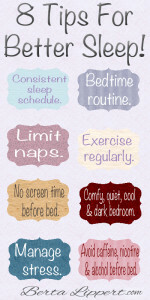 Check out my post Tips For Better Sleep for tips and resources for getting a solid 8 hours! 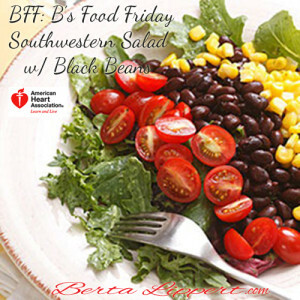 And if you’re looking for the recipe I shared on the segment from the American Heart Association, I just featured it for BFF (B’s Favorite Food) last Friday, Southwestern Salad with Black Beans. 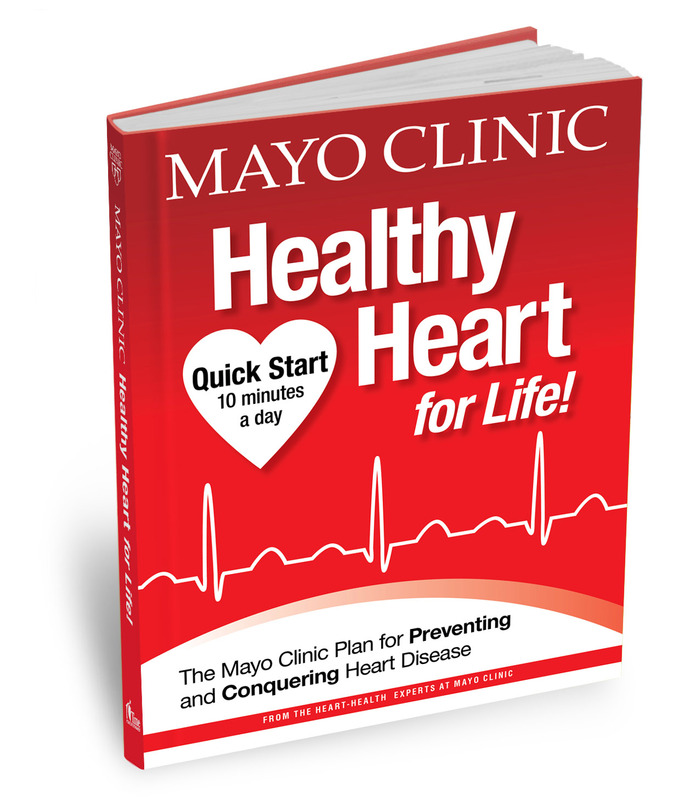 Mayo Clinic’s Healthy Heart For Life book is available on Amazon and at many retail stores. To purchase the book directly from Mayo (which currently includes a gift of Mayo’s 8 Ways to Lower Your Risk of Heart Attack and Stroke) click here. What’s great about the purchase of this book is that the proceeds are used to further medical education and research at Mayo Clinic. 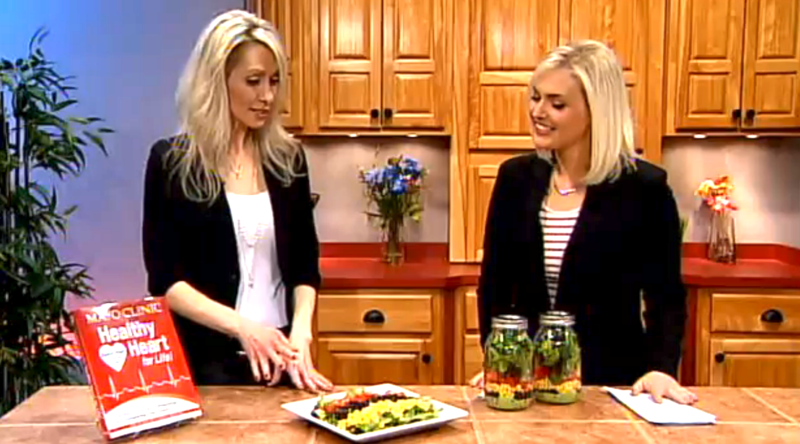 I hope you enjoyed the segment and resources found in this post and are ready to move forward to better heart health!